This Listing is for. 1 – Dye LT-R Loader – Black / Black 1- Empire 68ci/4500psi Carbon Fiber Tank. Introducing the LT-R, the latest addition to DYEs family of innovative loaders. The LT-R utilizes proven DYE loader technology that fuses top-notch functionality with mind-blowing feed rates and reliability. LT-R was created to provide every style of player a loader that retains the quality performance thats needed to win at a price tag thats unmatched. Trusted quality and proven consistency have made the DYE Rotor platform the number one choice in loader technology among paintball players worldwide. Patented Rotor technology provides smooth, consistent, and rapid feeding. This is made possible by the combination of the LT-R’s constant feed carousel and the opposing rotation of the Rotor center arm. The LT-R features a simple toolless design with a low profile shell that allows for a 200 ball capacity. The patented spring loaded floor tray makes sure that paint ends up in your gun. Adjustable feed tension and a built-in anti-jam release trigger makes sure your patented constant feed hopper can handle any paint and condition. The interchangeable carrier/spring lid allows for a quick and easy change between lid and optional DYE Quick Feeds. LT-R sets standard for battery efficiency, powered by only 3 AA batteries allowing the hopper to get 80,000+ balls shot count. The LT-R has a variety of upgrades such as color kits, quick feeds and high capacity tops. Patented Rotor Force Fed Technology, 30+ balls per second. Tool-less disassembly; completely break down the Rotor without any tools. Sharkfin Jam Release Trigger effortlessly gets you back in the action in the event of oversized or out-of-round paint. Adjustable torque feature allows the user to fine-tune torque settings manually with an allen wrench. Battery life of over 80,000+ ball shot count with only 3 AA batteries. Blackops feature enables you to turn the indicator LED off during those night or low-light games. 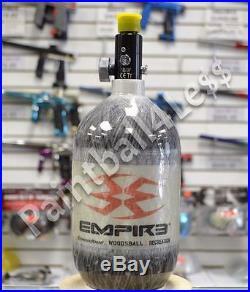 Empire 68ci/4500psi Carbon Fiber Tank. The Empire carbon fiber N2 tanks are a mainstay at Empire. With renowned Pure Energy quality, these air tanks will perform great. The regulator has been proven to provide the safest, most reliable performance in paintball. Lightweight Carbon Fiber air system. Proven Pure Energy performance and consistent output pressure. Aircraft grade aluminum constructed regulator. High and Low pressure burst disks for the highest level of safety. 5 year retest cycle. Hydro Dates: Note that these bottles are not manufactured every day. We can not list the hydro dates as it changes frequently with each batch of bottles we receive, but we can guarantee we only sell the latest hydro dates! The item “Dye Rotor LTR Paintball Loader Black/Blk + Empire 68ci/4500psi Carbon Fiber Tank” is in sale since Wednesday, June 13, 2018. 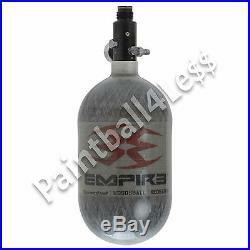 This item is in the category “Sporting Goods\Outdoor Sports\Paintball\Hoppers & Loaders”. 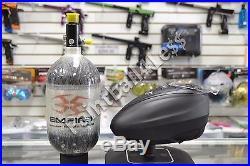 The seller is “paintball4le$$” and is located in Fountain Valley, California. This item can be shipped to United States. This Listing is for. 1 – Dye LT-R Loader – Black / Black 1- Empire 68ci/4500psi Carbon Fiber Tank. Introducing the LT-R, the latest addition to DYEs family of innovative loaders. The LT-R utilizes proven DYE loader technology that fuses top-notch functionality with mind-blowing feed rates and reliability. LT-R was created to provide every style of player a loader that retains the quality performance thats needed to win at a price tag thats unmatched. Trusted quality and proven consistency have made the DYE Rotor platform the number one choice in loader technology among paintball players worldwide. Patented Rotor technology provides smooth, consistent, and rapid feeding. This is made possible by the combination of the LT-R’s constant feed carousel and the opposing rotation of the Rotor center arm. The LT-R features a simple toolless design with a low profile shell that allows for a 200 ball capacity. The patented spring loaded floor tray makes sure that paint ends up in your gun. Adjustable feed tension and a built-in anti-jam release trigger makes sure your patented constant feed hopper can handle any paint and condition. The interchangeable carrier/spring lid allows for a quick and easy change between lid and optional DYE Quick Feeds. LT-R sets standard for battery efficiency, powered by only 3 AA batteries allowing the hopper to get 80,000+ balls shot count. The LT-R has a variety of upgrades such as color kits, quick feeds and high capacity tops. Patented Rotor Force Fed Technology, 30+ balls per second. Tool-less disassembly; completely break down the Rotor without any tools. Sharkfin Jam Release Trigger effortlessly gets you back in the action in the event of oversized or out-of-round paint. Adjustable torque feature allows the user to fine-tune torque settings manually with an allen wrench. Battery life of over 80,000+ ball shot count with only 3 AA batteries. Blackops feature enables you to turn the indicator LED off during those night or low-light games. Empire 68ci/4500psi Carbon Fiber Tank. The Empire carbon fiber N2 tanks are a mainstay at Empire. With renowned Pure Energy quality, these air tanks will perform great. The regulator has been proven to provide the safest, most reliable performance in paintball. Lightweight Carbon Fiber air system. Proven Pure Energy performance and consistent output pressure. Aircraft grade aluminum constructed regulator. High and Low pressure burst disks for the highest level of safety. 5 year retest cycle. Hydro Dates: Note that these bottles are not manufactured every day. We can not list the hydro dates as it changes frequently with each batch of bottles we receive, but we can guarantee we only sell the latest hydro dates! The item “Dye Rotor LTR Paintball Loader Black/Blk + Empire 68ci/4500psi Carbon Fiber Tank” is in sale since Wednesday, November 29, 2017. 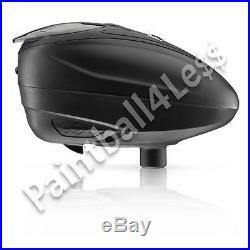 This item is in the category “Sporting Goods\Outdoor Sports\Paintball\Hoppers & Loaders”. 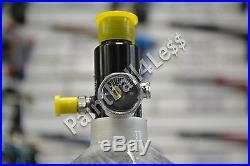 The seller is “paintball4le$$” and is located in Fountain Valley, California. This item can be shipped to United States.